Chocolates are irresistible as long as they are edible elements, but do you know that it could have other uses too? Uses like face packs? For example, the chocolate cake that was smashed on your face in your last birthday wasn’t at all a bad action? It actually did leave your face glowing and hydrated! Weird is it? Well, in this article we will clarify all your doubts. We will widely discuss how chocolate is good for our skin and what face packs do you need for your face type. How is Chocolate good for our Skin? Dark chocolate can sooth your skin and is at times better than other forms of skin treatment. The main ingredient in chocolate is cocoa which includes therapeutic properties. It further has flavonoids which absorb UV lights and protect skin. It also improves your complexion and blood flow. Cocoa is also rich in antioxidants which fight aging and increases collagen production. You will help your skin tighten and help newer cells to form. Chocolate facials improve your glow and keep you away from blemishes. Take some leftover lemon peels, bake them low for 3 minutes and then grind to make it powdery. Add enough chocolate and yogurt to the powder, to make a fine paste. Cleanse and stream your face before you apply the mask. This pack needs to sit for 30 minutes before you wash it with lukewarm water. If you have oily skin, you might be prone to pimples, blackheads, acne, etc. This is the apt chocolate pack for you, as this fight excess oil secretion caused by sebaceous glands. It also stops the bacteria which result in conditions like acnes or pimples. With regular application you will feel your skin to be fresh, oil-free and fair. Take a small bowl and add 2 tablespoons of chocolate powder. Add 1 tablespoon of honey followed by 4 tablespoon of milk. Mix to form a paste and put it by. Steam your face so that the pores open. Now apply the mask on your face and neck. Let the face pack dry for half an hour. Rinse with cold water after that. This is amazing treatment for dull and dry skin. The goodness of honey and milk would add nourishment and enhance the skin tone. Apply it on alternate days to give you significant results. Take a bowl and add chocolate and fuller’s earth in equal amounts. Add 2 tablespoons of orange juice and blend. Wipe your face with a cloth which you dip in rose water first. Now apply the mix all over your face. Let it dry for 20 minutes and then you can wash off with cold water. This pack till add glow your skin and refine its texture. It will also lighten the complexion. Fuller’s earth absorbs excess oil and keeps the face clean. Orange juice has antioxidants and would make your face brighter. This can be applied by oily to normal skin type. If you have dry skin, you can replace orange juice with milk. Take a small bowl to add 1 tablespoon of aloe vera gel, 1 tablespoon of chocolate powder and 2 tablespoon of honey. Mix and apply on your face and massage gently. Apply if you have some more left in the bowl and let it dry for 15 minutes. Wash after 15 minutes and use lukewarm water. This pack is use for removing dark spots, sun spots, pimples or acne scars. It will also promote blood circulation which will make your skin look smooth and flawless. Take an egg and break it into a bowl. Separate the yolk and place it in another bowl. Add 2 tablespoons of chocolate powder in the egg white and beat well. Steam your face so that your pores open. Apply the mask and let it sit for 20 minutes. Rinse with warm water and then apply a cream or moisturizer. This treatment will tone and tighten your skin. It further shrinks the size of pores and reduces signs of ageing. Egg white is also known to repair skin cells. After going through all the remedies, if you think you’d rather look for some products online for serving you in a similar way, you can check some top products for chocolate facial. These are all top products in the market which can be easily delivered to your house and your work gets simplified too. This advanced formula gets you back your old skin and improves its strength. It promotes the production of collagen and elastin and heals the marks. 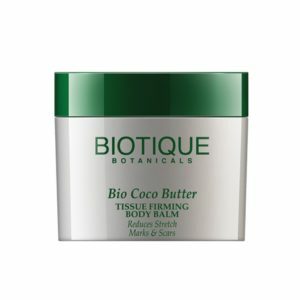 This cream goes deep in and balances out the stretch marks which lie deep below. This eventually lightens up the marks above and reduces the presence. It comes with the goodness of essential oils, rich butters, vitamins and prevents more marks and scars to repeat. This product too has been approved by FDA and works with time. This product is a perfect massaging cream which works well on your body. The cream not only reduces the marks but also leaves a hydrates effect. This advances treatment comes with a luxurious and fast absorbing formula and that minimizes the appearance at its best! This comes with antioxidants, vitamins and natural oils which invigorate subtle lemon scent. With extensive research, the product comes with a non-greasy formula, so as it goes inside the skin, you now it starts working. This product has been made in FDA LAB of USA and speaks on 100 % guarantee! It comes with a strong formulation which has shea butter, cocoa, coconut oil and vitamin E. This reduces the possibilities of having marks again too! 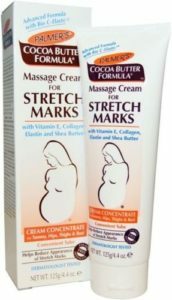 Palmer’s Cocoa Butter Formula Massage Cream for Stretch Marks 125g/4.4 oz. This product improves the appearance of stretch marks and comes with the exclusive blend of cocoa butter, Bio C-Elastin, shea butter, etc. 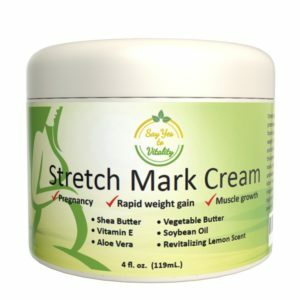 This is known to reduce stretch marks from all possible reasons. The texture happens to be non-greasy and can be applied on tummy, thighs, hips and busts. It is known to retain moisture and make skin suppler. With the addition of Argan Oil, Centella Asiatica and Sweet Almond Oil, this product becomes a proper treatment for stretch mark reduction. This product has the goodness of cocoa butter. This is also known to heal pigmentation which comes from sicknesses and it smoothen the marks easily. If you want to give your body a firm and toned appearance, you can use this product. This is also known to reduce scars with the stretch marks.